Madness and the movies have an unprecedented history in front of and behind the camera, from the institutional insanity of One Flew Over the Cuckoo’s Nest to Francis Ford Coppola’s infamous filming nightmare during Apocalypse Now. Madness inhabited the whole of both of those productions, but the writer/director Jeff Nichols takes an individual approach with his new film Take Shelter. Take Shelter has much more in common with Melancholia (another apocalyptic vision from 2011) than it does with either of those 70s hysteria classics, though. Its focus is individual madness by way of the apocalypse. Pairing the two together, however, makes the madness justified. Curtis (Michael Shannon) is plagued with frightening nightmares in his sleep and in reality; his dog attacks him, zombie-like strangers abduct his deaf daughter and a menacing swarm of birds zip around the cloudy sky. Nichols restrains those visions though, holding back on gore in favor of mood and tension. Take Shelter is a fairly basic “Why doesn’t anybody believe me? !” story on the surface, but Nichols throws a wrench in those proceedings by alienating the audience from Curtis as well. Not only do his wife (Jessica Chastain) and co-workers slowly drift away from him, but the audience privy to his disturbing hallucinations do as well. Depending on how you read the ending, though, Curtis may have the last wicked laugh. 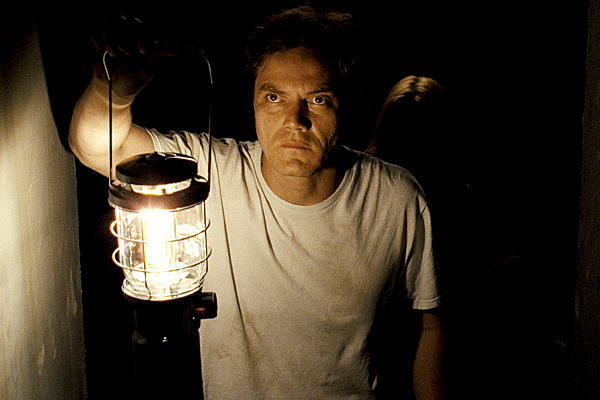 With Michael Shannon, Nichols finds a wonderful partner in insanity. He brings the kind of slow-burning madness that the role of Curtis requires. When he finally explodes at a small town fish fry, it feels earned rather than just a melodramatic Oscar moment. 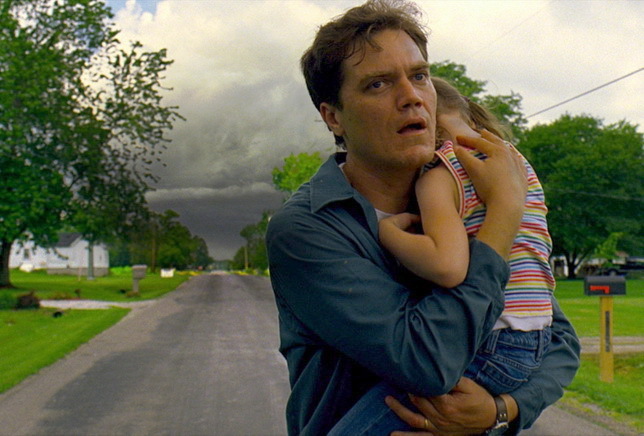 All of Take Shelter is largely like that, though; a precise, tonally perfect exercise in modern day paranoia. Though the precise source of Curtis’ madness isn’t pinpointed, he tunes in closely to a disastrous story on the news and goes to visit his schizophrenic mother (Kathy Baker). Like Melancholia, individual struggle is placed on a global, apocalyptic scale here. Exaggerating those struggles on that large of a scale is not just entertaining and thought-provoking, but actually goes hand-in-hand with how the afflicted person feels. The world really is ending for them, whether or not it actually is. Curtis’ wife sticks with him through these plights though, as his paranoia leads him to take out a loan to build an expansive storm shelter in their backyard. Jessica Chastain is good in the role, adding some genuine warmth to Shannon’s often distant character. The off-beat casting of these two exceptional talents infuses Nichols’ screenplay with the specific tone it needed. Though the story starts to overstay its welcome in the end, overall it is terrifically paced. Take Shelter’s story is imminently recognizable as a conspiracy plot. Nichols adds in genuine madness and the apocalypse to that vision though, draining the story of its often fast paced thriller trappings and zooming in to examine an everyman in crisis. Curtis’ family (and it is clear that it is his), comes apart at the seams because its patriarch is unable to hold on. Whether intentional or not, it is a critique of the modern nuclear family and its dependance on the sole breadwinner model. Setting the film in rural Ohio is an even more specific assault on that kind of carefree, blue-collar lifestyle. Though Take Shelter’s setting is not a full-on microcosm of America like the small town in A History of Violence, it does have the daring to suggest that the everyday pressures of the ever-fading nuclear family could be a weapon of mass destruction. This entry was posted in Reviews and tagged Apocalypse, Best films of 2011, Jeff Nichols, Jessica Chastain, Melancholia, Michael Shannon, Take Shelter, Underrated actors, Underrated movies by matterspamer. Bookmark the permalink.